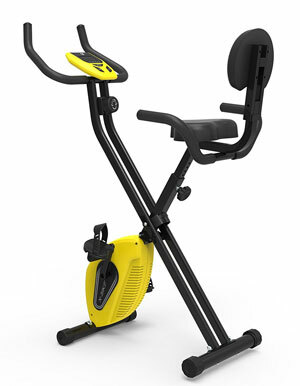 Does The Olympic 2000 ES-892 Exercise Bike Offer Low-Impact Exercise? Slim, simple exercise bikes like the Olympic 2000 ES-892 Compact Exercise Bike are a great option for those that want a no thrills approach to improved fitness. This model has a folding frame and transport wheels, as well as a light flywheel, manual resistance knob and basic console. Does it do enough to help users get back into a fitness regime? 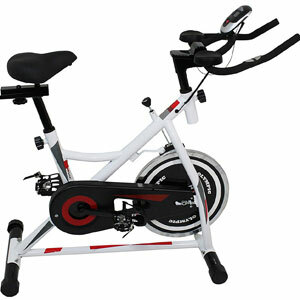 Does The F4H Olympic ES705 Indoor Cycling Bike Provide The Indoor Experience Riders Are After? 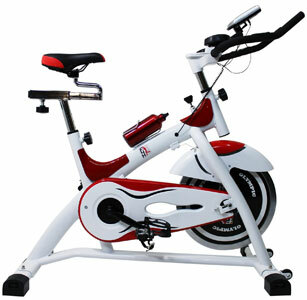 The F4H Olympic ES705 Indoor Cycling Bike is a good looking indoor bike with some big promises. Indoor cycling is gaining popularity right now as it provides an alternative to the typical exercise bike in the same indoor conditions. The name ‘olympic rush’ is great because it gives the impression of a bike that will be able to offer great speed and the sort of training that top athletes are after or at least the exhilarating feeling of achieving those fitness goals. There is talk of a quiet, smooth motion to this compact indoor bike, but it needs more than that to keep most users happy. Does The Fashionable F4H Olympic Intensive ES702 Aerobic Indoor Cycling Bike Meet Buyer Expectations? The F4H Olympic ES702 Indoor Cycling Bike, with its 10kg flywheel, is promoted as being a new type of exercise bike for indoor cycling that brings a wonderfully low-impact workout to the home. 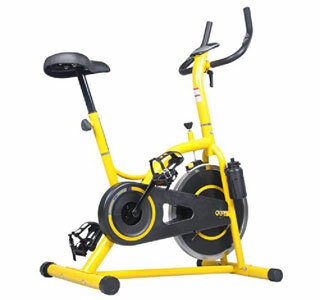 This is a pretty striking bike that will definitely stand out in a home gym because it uses the unusual colour combination of black and yellow. It may not the prettiest of exercise bikes but the most important question from prospective buyers is whether or not it provides that intensive aerobic exercise that they are after. Is The Olympic 41 ES-701 Aerobic Exercise Bike As Professional And Beneficial As It Appears? The most striking thing about the Olympic 41 ES-701 Aerobic Exercise Bike is the style and the sense of professionalism that that evokes. Naturally, the name Olympic 41 automatically gives the impression of a high standard but the sleek shape, 13kg flywheel and “professional” cycle seat add to the expectations. Is this machine able to meet the high standards of its consumers or are there some clear faults in its quirky design?